Has a weak computer but loves realism? Well, this is the right shaderpack to you! Warning: This shaderpack is under development, so, it can have some bugs and glitches. Please, contribute with this shaderpack with a suggestion or bug-report! Download and install OptiFine. Download OptiFine from their official website. Press the Windows Key + R and type "%appdata%" (without quotes) then press enter (or click Run). Create a directory named "shaderpacks" if it don't exists. Move the downloaded file inside this directory. 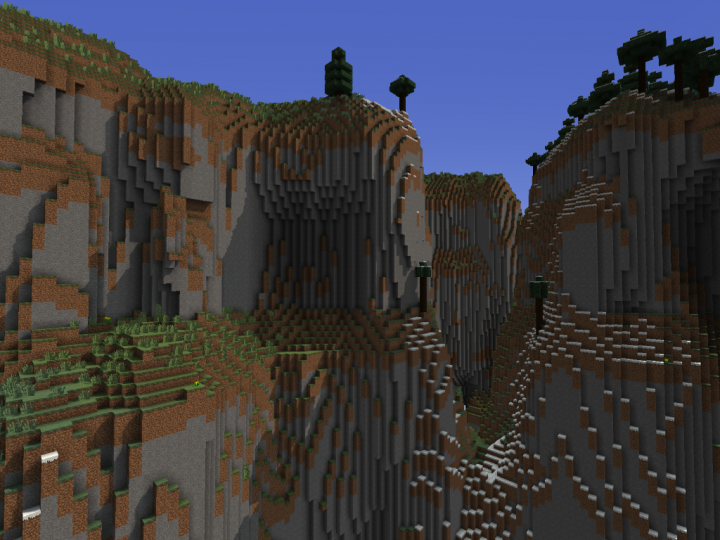 Start Minecraft, navigate to Options -> Shaders and select the downloaded shaderpack. Fixed an issue of lack of sync beetwen draw distance and shadow resolution. Now the draw distance is relative to the view distance. The performance of shadow improved in approximately 80%. The shadow quality is now much better. Added two new options: "FAR_DISTANCE_SHADOW" and "VERY_FAR_DISTANCE". Caution with them, both can drop your FPS. The shadow is 20% more darker. The night is a little bit more brighter. Solved some bugs related to rain. This is a shaderpack very modified from original "Bump Waving Shader", such that I don't know who is their original developer (he credits), so, if you want to modify this Shaderpack, modify the Bump Waving Shader, not this. 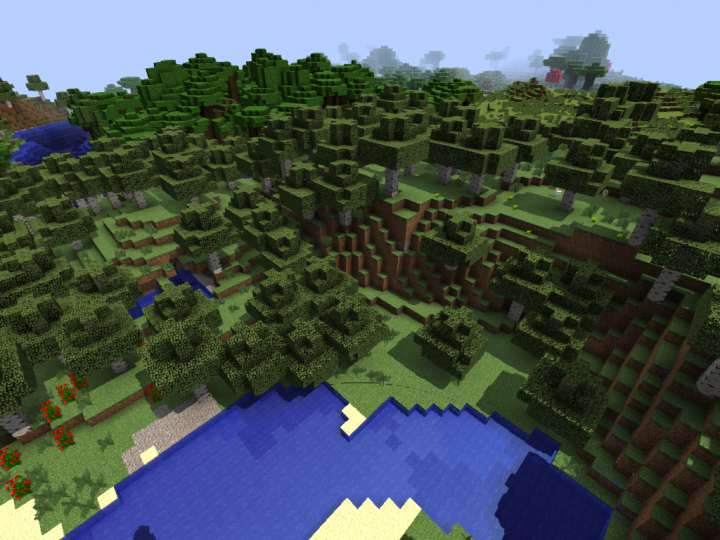 You just can't change a few numbers, change a few lines and say you made this Shaderpack. See below in summary of what you can do and cannot do. Chocapic13 for the waving water effect and the file gbuffers_water.vsh! Azraeil and Daxnitro for the DOF! <Unknown> for the Bump Waving Shadow! 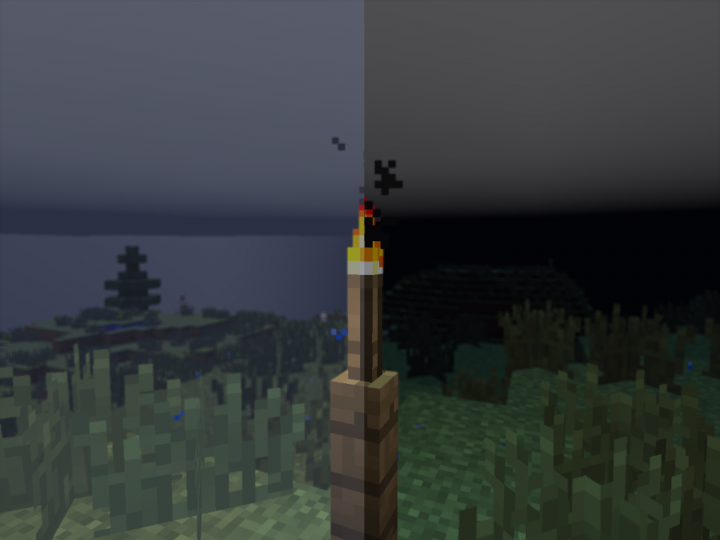 Does this work for 1.8.9? does this works in 1.7.10? no you spelled it wrong. it's potato. Looks like an amazing shader! Really wish i could use it, but its just a emty folder, all their is is Shaders but then in shaders is nothing, Do you know a fix? 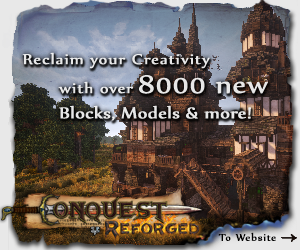 Does this go in mods or Resourcepacks?. You have to get the actual shader mod, install it to your mods folder, launch your game. You should then have a folder labled "shaderpacks". That's where you put your shaders. Anybody know how to install this for 1.8.3? How do I install this?Just putting it in my mods folder doesn't work. 1.Download the right version of Minecraft Forge for the version of Minecraft you wish to run.There should be instructions on how to install it on the website. 2.Download a mod of your choice.Make sure that the mod is for whatever version of Minecraft(with Forge) you wish to run.Otherwise it will not work. 3.Open up your Mods folder.This should be within your Minecraft folder, if you did everything right. 4.Drag the mod into your Mods folder. 5.Open up your Minecraft launcher. 6.Select "New Profile" or "Edit Profile".I suggest New Profile, because it will make switching between modded and vanilla a lot easier. 8.Switch it to the new profile.You can do this by simply clicking on the profile and then selecting the new one you made. Note:Some mods require modloaders other than Forge.This is simply a tutorial on how to install mods with forge and not other modloaders. If you switch back to vanilla, make sure you do not open up your modded saves until you switch it back, because that will most likely corrupt them beyond repair. This is just a small tutorial, and you could probably find a more detailed one by Googling "How to install Minecraft mods with Forge". This is a great mod good job. is their a lite version? How about a shining Armor and Glass Reflection? Do you need minecraft forge? Now this new version works. Nope Trust me ive tried. It does, you probably just didnt do it right. looks good but how do i get it? It doesn't work for me. Help! 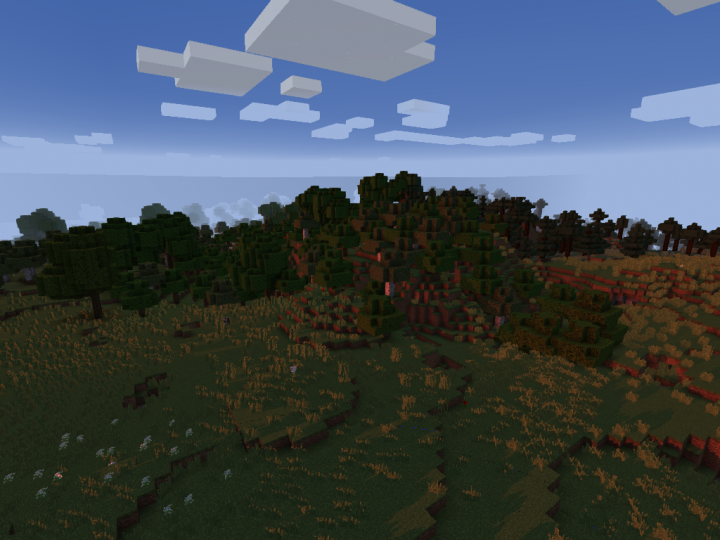 I love this shaders mod absolutley the best shaders mod I've ever seen.There is no lag what so every and amazing water , shades, and trees.Thank you for uploading this mod Nukemister! i cant use the forge u need for mods... any ideas? 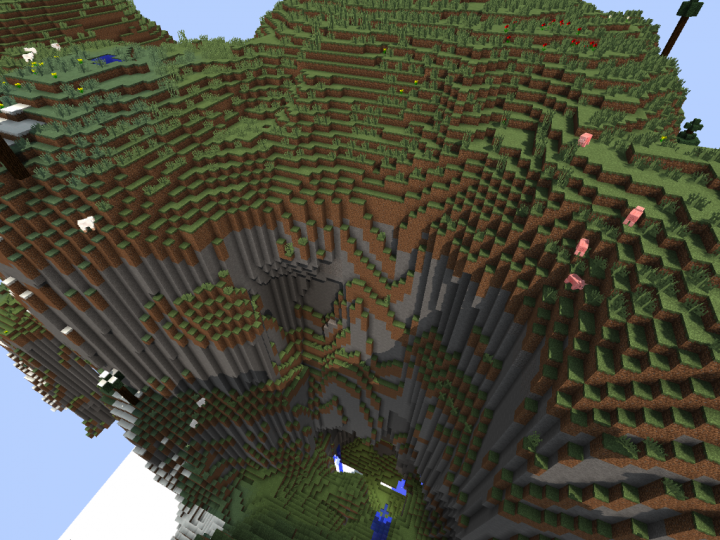 oh and love this mod even thoe i cant acctually have it at this moment but it looks cool! Diamond given! where do i put the shader pack if i have modloaded? Install instructions? It would help a lot thanks. I hope you don't mind, but I used this for some images for A project I am maing, I will give you credit. If you don't want me to have it up, just PM me. Dose it work for mac? I don't have Mac, but yes it does, it has the MAC file in there along with the Windows file. YAY I got it to work, DOOD... Great job, kuel shaders with ﻿NO LAG﻿! this doesnt work on my computer, why? does the sun shine in from the windows and do the trees blow??? this is an amazingly good shader, and it looks amazing when playing pixelmon, with the pokemon undewater and th eflying pokemon, but its surprising to see a shader this good with this little of downlaods and users, do you know when this will be 100% done, im thinking of using this shader for my upcoming youtube series. It would be awesome if you could create a tutorial on how to make a shader pack. I've seen many people, including myself, that want to make a shader pack but don't know where to begin. Let me know if you'd be willing to do this! hi, how do I install it?